We all wish we could easily, quickly whip up a 5-star cocktail after a long day of work, or for our buddies in the man cave, but often give up at the first sign of struggle. Here at Primer we are dedicated to providing the easiest, fastest recipes and instructions to help you craft excellent brandy cocktails with ease. Skip the red solo cup's filled with boring soda-alcohol drinks, and craft an upscale cocktail in the same amount of time! 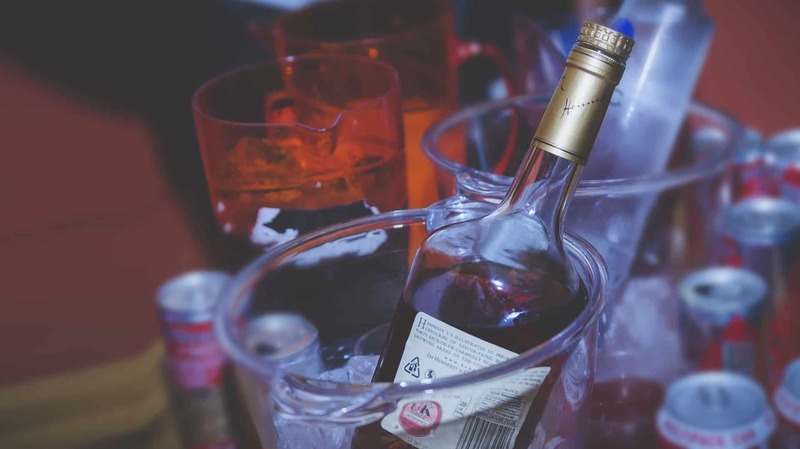 With these easy to follow instructions and recipes, you'll find crafting brandy cocktails enjoyable, fun, and ultimately; you can reap the rewards of an incredible, high caliber cocktail you'd expect from the local city steakhouse. The Penchant is a Primer original brandy cocktail that's delicious and easy to make! The Penchant is best described as a salted caramel apple in taste. This brandy cocktail is large, boozy, and served in a single rocks glass with no ice and an absinthe rinse, with a salted rim. The secret punch in flavor stems from the caramel syrup (avoid caramel “sauces”). This brandy cocktail is mind-blowingly tasty — we highly recommend it. Click here for the recipe and step-by-step instructions on crafting the Penchant! The Harvard brandy cocktail is widely known as a top-notch ivy-league originating cocktail. Other note-able mentions include Yale's (gin, bitters, soda) cocktail and Princeton's cocktail (gin, port, bitters), but the Harvard has depth and flair. The key with this brandy cocktail is the quality of ingredients used. Opt for cheap grenadine and bottled lemon juice and you'll be disappointed. While this drink packs a citrus kick, it doesn't overwhelm the taste, but plays a nice accent, bringing out the flavor of the other ingredients. The result is a beautifully elegant brandy cocktail with some serious depth of flavor. Click here for the recipe and step-by-step instructions! The Honeymoon brandy cocktail is the prime example of a simple, yet delicious cocktail. Sticking to the sour formula, the Honeymoon adds flare by including the herbal liqueur Benedictine, adding depth and changing the character of the drink without overpowering the rest of the mix. Invest in a good bottle of benedictine. It is used in many cocktails and lasts a long time! Honeymoon is elegant, delicious, and you truly won't regret crafting this delicious brandy cocktail with ease. The Ides of March originates from the Death and Company bar in famed New York City, one of the cities best cocktail bars. Stemming out of pure creativity, this drink can seem complicated to make due to the ingredients, but trust us, you won't want to miss this. Combining brandy and rum with various other ingredients provides a seriously diverse drink that packs a punch. Feeling classy? Hosting a dinner party? Smoking cigars on the porch with some buddies? This drink fits any and every occasion! 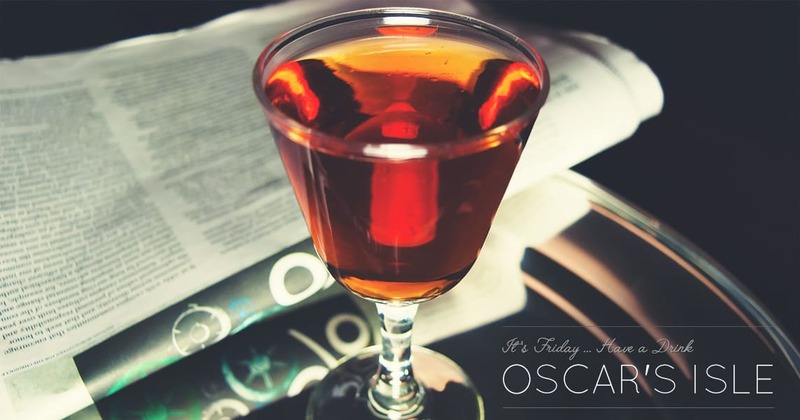 Oscar's Isle was invented by Primer's former cocktail aficionado Christopher Buecheler. Using a split base of brandy and rum with an addition of sweet vermouth, this cocktail is similar in form to a classic Manhattan. Then, we add fino sherry to bring nuttiness and a depth of flavor, as well as maraschino to balance it out. Overall, Oscar's Isle is strong but not too boozy, and easily drinkable while packing a diverse, complex flavor. Between The Sheets is a delicious rendition of the Sidecar with a little rum in place for part of the Brandy. The small rum addition to the brandy brings a tropical flare to the drink without overwhelming the original flavor. Between The Sheets is the perfect example of making a cocktail truly unique but just adding a simple twist. This cocktail is delicious on a warm, sunny day, and is perfect for any gathering. Sweet, herbal, and very strong, the Widow's Kiss packs a tasty punch. Kick back by the fire on a cold autumn night, and sip it slowly. Enjoy it with friends and family and soak up the moment. This brandy cocktail will take you back in time to a classy, elegant era. 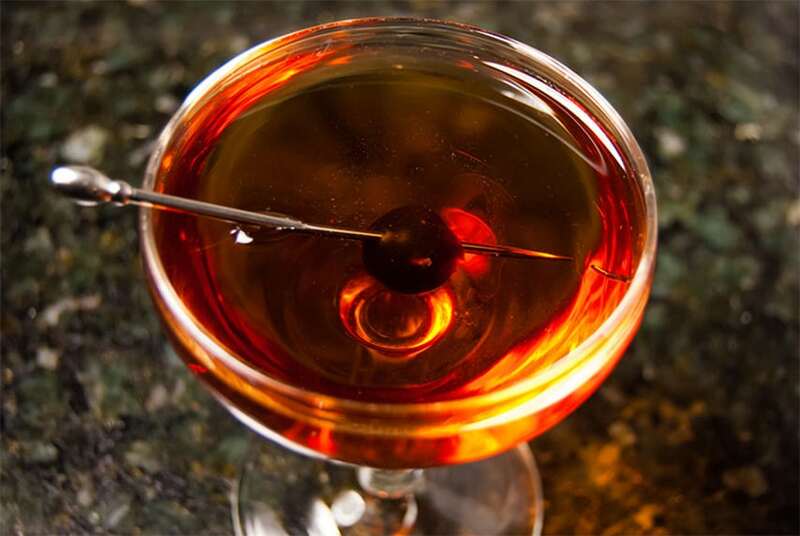 The Vieux Carré is a classy, upscale drink that any reputable bartender should be able to craft for you. But, if you're like us, and you enjoy these cocktails in the comfort of your own home, we've got you covered with an easy recipe. Combining brandy and whiskey, with sweet vermouth and bitters, this drink is truly delicious and packs a strong kick. Simply combine all the ingredients in a cocktail glass over ice and stir it thoroughly. Strain the mix into a cocktail glass and you've got the perfect, elegant brandy cocktail. The Ante utilizes a delicious apple brandy that is perfectly dry and crisp, with just a small hint of apple that doesn't overwhelm your senses. The Ante has a nice, deep flavor and only requires 4 simple ingredients to craft! Enjoy this when your in the mood for something crisp and refreshing, or when you're feeling like drinking an up-scale cocktail! 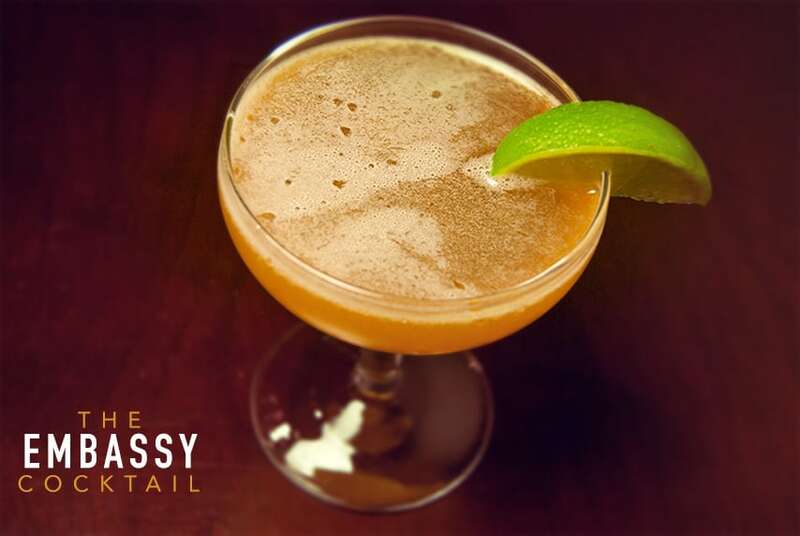 The Embassy is one of the best holiday brandy cocktails you can possibly craft. 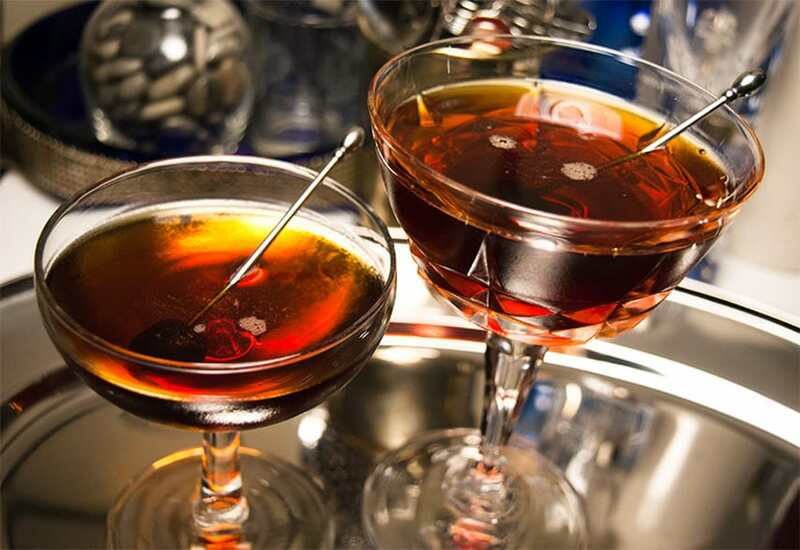 Many holiday drinks commonly use brandy and rum as the base, but the Embassy is a simplified version of these holiday favorites, but no less amazing. The cocktail originated from the Embassy Club in Hollywood, which didn't last long, but thankfully this wonderful drink survived! The infamous Sidecar. This is an incredible drink to have in your arsenal for two reasons; it's easy to make and it's one of the most delicious brandy cocktails in existence. Combining just three ingredients (brandy, curacao, fresh lemon juice) that you should have in your home bar, this drink will be an instant favorite of any guest you serve it to. 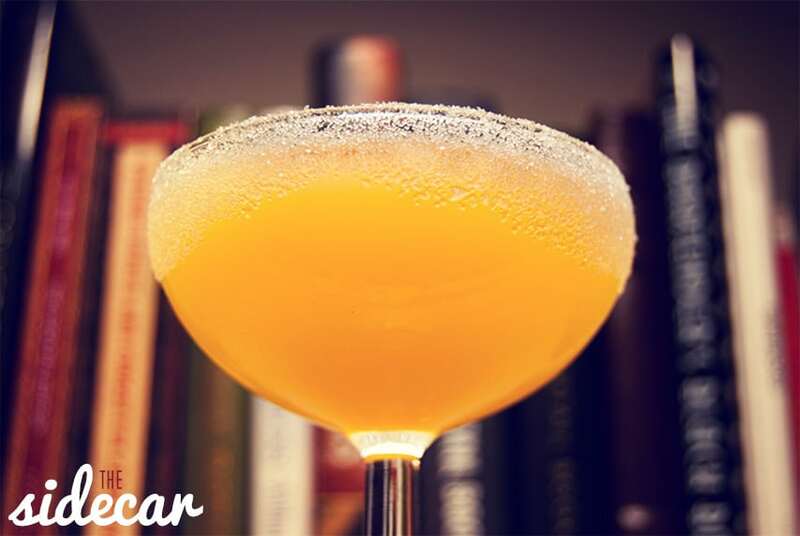 The Sidecar is the perfect marriage of sour, boozy and sweet. Don't forget to sugar coat the rim!